Triple Australian champion to pilot factory YZ450FM this weekend. Three-time Australian motocross champion Dean Ferris will make his return to the MXGP World Championship this weekend at Matterley Basin’s second round of the series in Great Britain. 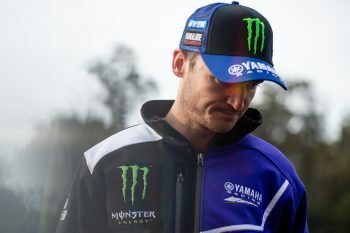 It was revealed last week that the New South Welshman will fill-in for injured contender Romain Febvre at Monster Energy Yamaha Factory Racing for at least three rounds, as the Frenchman recovers from an ankle injury sustained at round one. Set to pilot the factory YZ450FM, Ferris is relishing the opportunity to ride in the world championship as he continues to target a full-time seat in the Lucas Oil AMA Pro Motocross Championship for the remainder for the 2019 season. This weekend’s stop in the United Kingdom marks the beginning of three back-to-back rounds in which Ferris will challenge, with the series heading to Valkenswaard in The Netherlands and Pietramurata in Italy.